In all seriousness though.. they’ve clearly went a bit overboard with the battle royale stuff. Gotta read the room better than that. Well this is disapointing to say the least. The next update NEEDS to be substantial. Months!!! f*cking lol that!. Still nothing regarding lobby choice, damn. And of course, the obligatory bribe. For those who haven’t tried it yet, Gun Rush is a tooth and nail, Western style battle-royale fight to the death for up to 32 players that can be played either with Teams or as a Free For All. Players compete in an ever-shrinking battle zone with horses for quick transport (and associated risks). Skirmish for weapons ranging from Mauser Pistols to Repeating Shotguns to Fire Bottles and Dynamite Arrows – as well as for valuable, hard to obtain armor like the headshot-thwarting Ned Kelly Armor to help you survive to the end. It's like selling ice to Eskimo's R*, lol. Yeah, this'll test players patience. Months indeed, lol. Appreciated as always @ALifeOfMisery, thanks. Flipping Months, ha-ha-ha. Funny, but tragic! Obviously, there has to be A LOT of people out there who enjoy playing the PVP game modes Rockstar comes up with, or maybe it’s an inside joke between their devs. I honestly can’t stand them but do get a chuckle out of seeing their latest “creation” when it’s released on GTAO. I was secretly hoping the same formula wouldn’t be used for RDO, but I’m beginning to think it’ll be the norm as well. This may not be the appropriate place to ask this but does anyone else remember the YouTube video that surfaced a few years ago, back when we were all waiting for the long promised Heists to finally drop? It was some type of random interview with a Spanish speaking guy, but someone had added English subtitles pretending that the interview was with a Rockstar dev and he was going on and on about how naive and ridiculous their player base was and how easily fooled we were. I can’t remember the specifics but at the time, being a dedicated GTAO player who had patiently waited YEARS for Heists to be released, it really hit home and provided a lot of laughs. Sorry for straying from the Topic but I can’t help but think of that video every time I catch myself wishing Rockstar would give us an update. They won't release significant content updates until after the game is out of "beta" stage that's for sure, just bug fixes and few simple features which take months to do apparently. When will it be out of "beta" that's a 161 million $ question. Omg! Is it not the funniest sh*t, ever?? Sh*t had me laughing so hard I'm pretty sure my wife was thinking about having me sectioned. Yep 20 gold would get me on - for 5 minutes. Then it's back to other games. I bought the Xbox Game Pass for $1 and it has a LOT of games to play. The only players on my PSN list still playing are from here and even then when GTAO has a good event week most of them are in Los Santos. The first update is going to have to knock the ball clear out of the park to bring even some of those players back. I think R* have seriously misjudged the launch of RDO. Times have moved on from when GTAO launched. Fking gold. I was in literal tears when I saw this four years ago lol. Back on topic, as much as Rockstar knows how to make quality games, they're so out of touch with the times it's ridiculous. I've barely played RDO as it is (just hit rank 18 yesterday) and I'm pretty sure it'll stay that way for the time being. They say they learned from GTAO's turbulent launch but they're literally repeating the exact same thing. It's as though they've learned nothing at all. Yeah, V has sold nearly 100m copies and made what, $6Bn, but that's because it's GTA, not because everyone loved waiting an age for Heists, months on end without communication or getting average at best DLC every few months. Nobody even wanted Gun Rush, it's sh*t, nevermind fixing matchmaking. 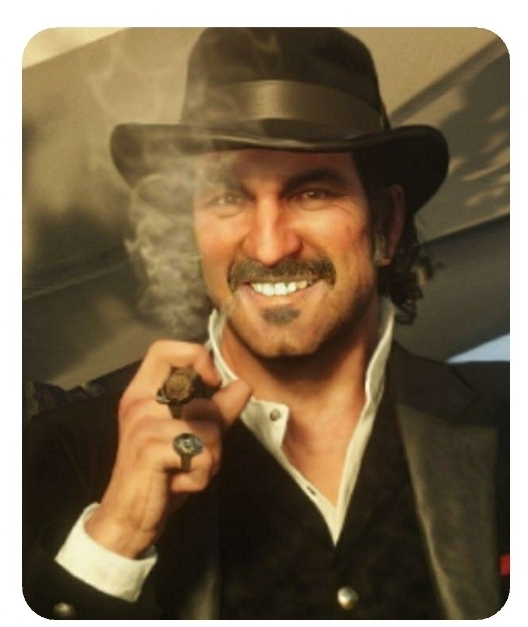 If R* think players will stick around in healthy numbers waiting for going on 2 years for a Heists level DLC for RDO they must be out of their f*cking minds. As for being out of touch, you're spot on. They are communicating more, which is good, but they need to have something to say. They can't keep posting Newswires talking about this same handful of features for months. And for f*ck sake R*, patch some of these goddamned bugs already. Sh*t's getting old. "In the coming months" ahaha, see y'all in March I guess. The same way they deeply regret (lol) losing so many players during the lead up to Heists, it looks like they're gonna repeat that again. Funny too as they mentioned the exact same situation in regards to RDO and getting things out the gate quicker this time (lmao) but are doing the exact opposite. Watch them apologize and make up some bullsh*t PR excuse once and even if some solid content ever arrives. Same way they made excuses for why Heists took a year and a f*cking half despite being promised for launch. Rockstar: We... just... need.... time. At least it’s not “ insert whatever “ coming SOON like gta heists. I tried to make a thread to discuss what I am about to say, but of course MOST of my threads get deleted for no reason at all. With all the new games coming out soon, RDO needed to have a giant update now... not in 3 months or whenever. Personally I am looking forward to Anthem and can't wait to try it out on my new gaming PC. One step forward, two steps back should be Rockstar's slogan. They just need some more time, money and for us to have some goddamned faith. Dude, EVERY week I think about logging on RDO, but end up playing GTA or Fifa 18 instead (btw f*ck you EA, really) because I remember there's practically nothing to do besides hunting, if you're not into PVP. When I saw that R* twitted, I was excited that maybe this time around I'd have a real reason. Not really lol. I reckon many people must feel the same. It's baffling, it really is. Obviously they're creating a lot of these new features from scratch and I understand this takes time... but where's the bug fixes? Balancing changes? Every 2 weeks now they post an update and it's all stuff that is seemingly months away. We're pretty much at the two months since launch point now and the game has had one economy balancing pass (and it's still not great) and zero gameplay bug fixing or further balancing updates. Maybe they do have a plan or an internal roadmap or something but they need to be transparent (which they probably never will be) cause the only message players are getting from Rockstar right now is "come back in a few months". It's straight up the most mishandled launch of an online game of this type that I've ever seen. I'm almost getting the impression that the vast majority of Rockstar are no longer working on anything Red Dead related and are instead going all-in on getting GTA VI (and GTAO2) out before next-gen or something. 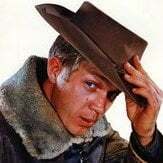 The online team is not the same team as the story mode team for either RDR2 or GTAV - obviously. It's like 1 team creates story mode and then another team comes in and uses a form of director's mode to create the online content. R* need to look at the replies to their tweet. They are getting hammered over this. They need to look here and at Reddit too while they are at it. Their players are not happy. I hope they see more are sticking with GTA too really. Not because it's a better made game, but because it's a game of choice far more than this one. I play there more simply because I can play my game of it in these open worlds, while choosing to opt into the potential PvP. Never been against PvP, it's clear it's great for those keen, I enjoy it at times too, more because I'm not forced to endure it when I don't want to. Either mood, I can still just play. How R* thought adding PvE content here would see PvE players not clash with the PvPers is a joke, IMO. Of course, a PvP player is just playing their game, but to enforce their gaming onto those not keen, it's only gonna see the two styles clash. If we don't want that in GTA, we go our own way, but still online. Here, we're told to 'go play story' (those that say that pap though just don't get that we can't co-op in story, lol. *facepalm for them, ha-ha). Yeah, R* probably got told 'you create your story, but my T2 interns are making online, otherwise we're doing GTA:O 2 instead' by Strauss or something like that. Basically the good developers got pushed away from this as they make a game of it, not a money sink. Yeah there's no way the same amount of time and effort put into RDR2 is being used for RDO or ever will be. 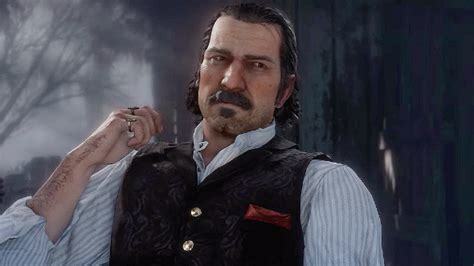 I wouldn't even be surprised if RDO really was an afterthought this time around and they started working on it more recently. GTAO was so much more polished compared to this. It's like the opposite scenario this time, they poured their hearts into RDR2 and gave RDO the sloppy seconds. Zero interest in Gun Rush or Fortnite type games.